The internet has undoubtedly brought the world closer together, but it has simultaneously provided an easy means for cyber criminals to steal valuable assets or commit other criminal offences. There are many different types of online scams, from ransomware and phishing emails to banking scams and fraudulent purchase receipts. Unsurprisingly, businesses are continuously targeted due to the sheer amount of capital the attacker could potentially gain access to if successful. This year has already played host to the ‘bogus boss’ scam, which saw an accountant tricked into transferring £372,000 of its client’s money into foreign bank accounts. This followed a barrage of emails and calls convincing them the client was buying another business in such a short space of time that the agent was unable to sit back and question the validity of the communication. A business is only as secure as its weakest link which is why it’s vital professionals at all levels are aware they should look out for the following four elements to safeguard against cyber attacks. Although staying vigilant will protect against the most common forms of cybercrime, more sophisticated attempts to gain access to sensitive business data can be more difficult to spot. Unfortunately, it is often these attacks which result in the most disastrous results for businesses across the globe, but most are completely avoidable. 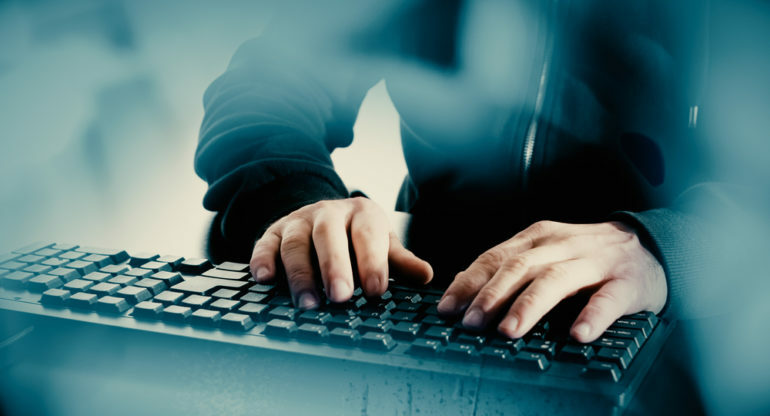 With so many different ways for cyber criminals to target businesses in the modern age, it’s vital professionals are fully aware of the potential dangers of the online world and ensure they are as secure as possible. Passwords should be frequently changed, not duplicated throughout the office and high-level anti-virus software in place on all devices to block malicious attacks. However, to truly secure a business against cybercrime, it’s vital all employees are fully trained in all aspects of cyber security to ensure they think twice before clicking on potentially harmful links or forward dangerous emails. The IT team isn’t always on hand to provide consultancy on how best to deal with questionable communication which is why training is so pivotal. Business leaders will have peace of mind that employees are aware of how to avoid the most common cyber attacks, which will go a long way to ensure companies don’t damage their profit margins and reputations by falling foul to cybercrime.